Ruyven is a business park of 50 hectares and a leisure area named after a former residential center. The business park in the territory of Pijnacker-Nootdorp, opened in 1997 and designed for companies in the distribution, transportation, wholesale trade, construction and industry. Among others there are located: a large distribution of Albert Heijn, VacuVin, auto dealers and a gas station with a car wash. The site is located in Delfgauw on the N470 and near the exit Delft Zuid / Ruyven of A13. 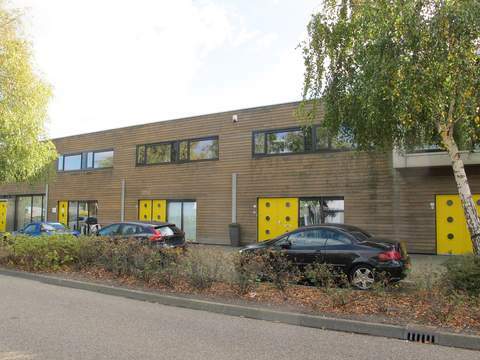 The business park Ruyven is the first business in the municipality of Pijnacker-Nootdorp where park management is implemented. In 2004, the municipality took this initiative, which was eventually taken over by the Cooperative Bedrijvenpark Ruyven ua which has been set up in 2006. Park management is used to maintain a high quality level and real estate value of the business park Ruyven and to keep and improve this. The board of the cooperative is formed by representatives from the business owners and building owners. At present, 26 of the total of 30 entrepreneurs Ruyven voluntarily participate in the cooperative. By outsourcing the park management to a single professional organization, both the property owners, the entrepreneurs, as well as the local government have one fixed point of contact and can therefore continue to focus primarily on their own core business. Together, a compulsory basic package of park management has been drawn up, in which the park management organization, collective security and collective signage are regulated. In close cooperation with the entrepreneurs - on the bases of need and financial feasibility - the collective service package is extended. The recreation area with the same name is located south of the bussiness park, near carstop Ruyven. Ruyven was under the Ancien Regime a manor. In the Batavian period from 1798 to 1811 it became a municipality, which was lifted on January 1st, 1812; the territory was added to that of the municipality of Pijnacker. The addition was undone on April 1, 1817 and Ruiven was again an independent municipality. On January 1, 1846 the municipality was dissolved; the territory was added to the municipality of Pijnacker again.